Can anybody shed light on this type? It appears to be a "quick release" system that could serve your purposes, Al. I assume a buckled strap goes through the ring, but it would have to be a very narrow strap. Maybe the ring mates with a hook. 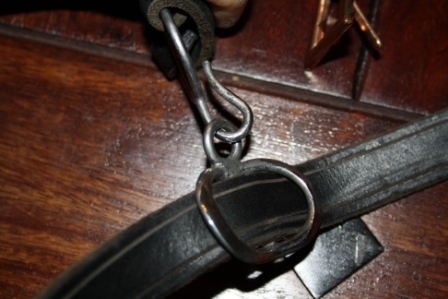 It would be pretty easy to make this part--leather strap, brass ring (check Lowes,) a couple of strips of sheet brass and two rivets. I wish the artist had shown the belt. I think it is probably a hook. If you were going to use ties it wouldn't be worth it to use valuable metal fittings, and if you were going to use a strap then it probably would of used a buckle. Good points. I think the hook idea is the most compelling. 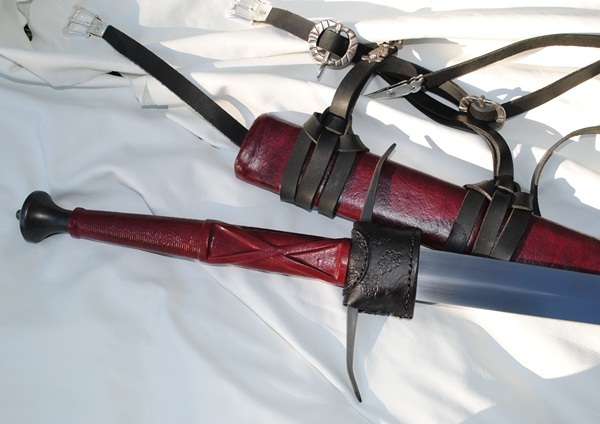 I tried hooks on scabbards, when walking around faires and such. My experience is that they are only good if you're careful...they tend to come undone if you move wrong. 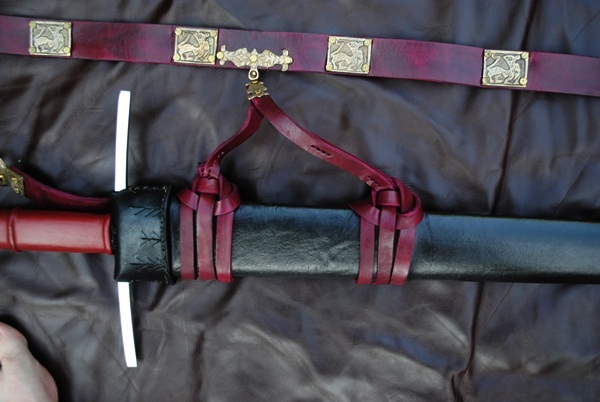 I go with buckles now for detachable scabbards and they work much better. But I think they are hook attachements in the picture. It depends on the style of the hook, I think. I have a hook for attachment to the belt on the back strap. Due to the shape it won´t come undone. See the picture. It depends on the style of the hook, I think. I have a hook for attachment to the belt on the back strap. Due to the shape it won´t come undone. That looks to be a good rig, thanks for the pictures. It seems the black wise man (was it Balthazar? 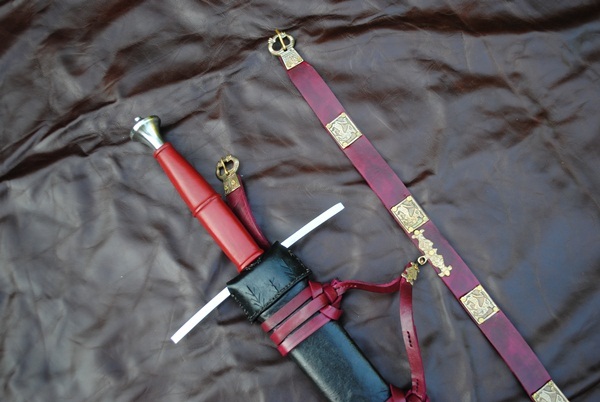 I can never remember) is wearing a long sword on some sort of narrow baldric. Were these at all common in the period? Can you point out any more examples of such? Or has he just looped a perfectly normal belt over his shoulder instead of around his waist, for some reason? I don't see any hanger hardware sets at Historic Enterprises anymore, but they do have terrific 15th c. buckle and strap end sets for $25. You're not missing much...I had a friend make me a rapier hanger suspension with one of their kits...they were made with copper not mild steel and cast, not forged. Needless to say I didn't like the hooks bending when they did. My advice for anyone who uses detachable hooks for their suspension is use only mild or hardened steel and not brass, copper or lesser metals. The weight of the sword pulling on the hooks has tended to bend any soft metal hooks I have ever used in these setups. 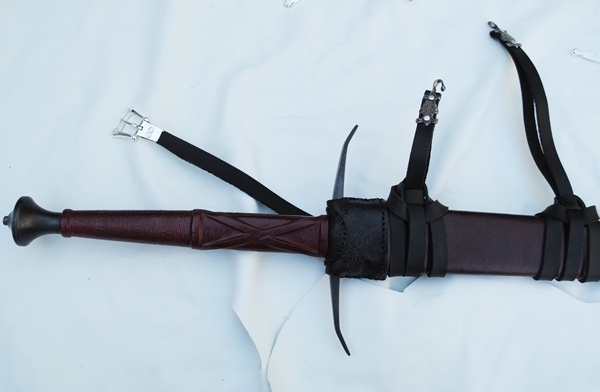 Also check with Craig at Arms and Armor, he once made me a good longsword suspension setup with steel hooks that was pretty robust and it held up quite well. And here's a two-hook suspension Russ completed more recently. 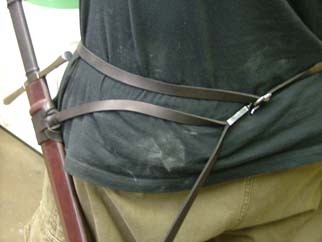 Interestingly, I recently came across a period image that shows a suspension with what looks like a moveable mount / in-line buckle on the belt ... will try to upload here if I remember. These allow for good weight distribution and carry. 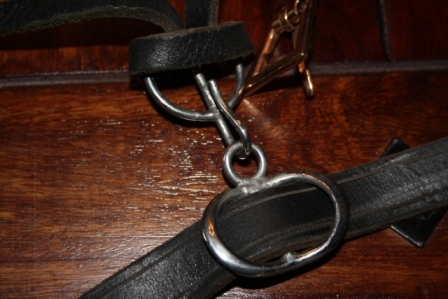 Here's an image from period art of what could be a moveable buckle, similar to the one in the suspension system above. 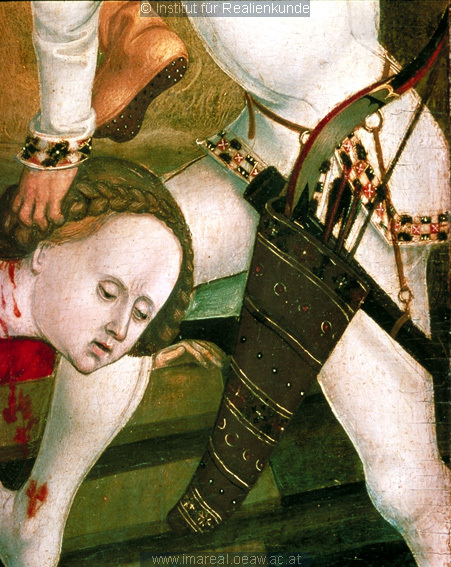 I don't have full details of this image; it appears in Turnbull's The book of the medieval knight (London: Arms and Armour Press, 1995).